Ubiquitous Wi-Fi and truly “smart” phones and tablets make a daily impact on where we choose to work. Information technology is empowering the employee as a consumer and causing more enterprises to evaluate BYOD(esk) as a strategy. These trends will change the way we choose and use workplace forever. LiquidSpace provides software to help enterprises manage the consumerization of real estate. Using the free mobile app or web portal, employees become real estate consumers – they access an online marketplace to find and book great spaces to meet and work, in real-time, with confidence. LiquidSpace opens up a brand new market for workplace. It enables consumers to browse and book any office space made available by public business centers, coworking spaces, hotels, or even private spaces within corporate enterprises. Enterprises that want to adapt their own spaces for more flexible work need data to support those decisions. Traditional utilization studies use manual “bed check” processes or sensors on chairs. These can be time consuming and expensive ways to discover how real estate assets are being utilized – or underutilized, which is often the case. While asset utilization data illuminate opportunities to compress real estate or accommodate growth in headcount without growth in space, it fails to inform enterprises about where employees are choosing to work. That’s where LiquidSpace comes in.Ãƒâ€š Think of this as “Data 2.0”, where enterprises can analyze and understand what their workforce has searched, the location and workspace type used, the time spent, the size of meetings, the cost, and the satisfaction level with the experience. This provides a much more powerful understanding about space that meets employees’ needs because it tracks their choices as consumers versus only measuring an asset’s efficiency. A wide range of enterprises — from those formulating an initial real estate and workplace strategy to those with right-sized portfolios globally — are now using this data to make design decisions. Cost savings and flexibility are achieved by balancing a pay-for-use approach with traditional fixed leased/owned positions. 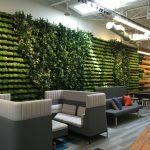 Employees appreciate having choices and gaining productivity by spending less time finding and commuting to great spaces to work. And, an enterprise’s overall carbon footprint is kept in check by limiting the need for additional fixed space and reducing the time their employees spend in automobiles. 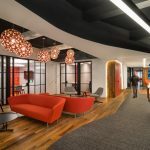 As a result, CoreNet’s Corporate Real Estate (CRE) 2020 study projects that work away from the traditional office will grow beyond 40 percent in the next five years. This presents CRE leaders with a tremendous opportunity to broaden their workplace experience strategies to include any place where an employee needs to work. To learn more about the LiquidSpace online marketplace of more than 2000 workspaces in 250+ cities, please watch this video and visit http://www.liquidspace.com. The consumerization of corporate real estate – a timely analogy that falls right into line with the consumerization of technology, Ed. An informative tour of Liquid Space, thank you!